Last weekend was brilliant celebrating my friends 40th birthday last Saturday. We had a little hiccup, where by our hotel accommodation was moved, and we ended up staying instead of So Arch Hotel, stayed at the So Kings Cross hotel. Would not recommend the room was very basic, at a cost of £107.40 and the breakfast the next morning was great either. We decided to have a bite to eat and found a Italian Restaurant, which I could imagine being in Ramsey’s Kitchen Nightmares. There appeared to be a lot of arguing among the staff, and not a lot of serving going on. Then we went for a coffee in Costa near the train station, which was a much better atmosphere, and good service. We then sat outside of a bit as it was a nice afternoon, and sat and watched these people doing the Salsa in the middle of the square there. We went onto the N19 in Archway, to celebrate my friends birthday, and got there for 6pm and watched the rest of the football. Then they had a band on, which were good and very entertaining. The next day I was feeling a bit rough, but was well worth it as it was a great weekend. It was a brilliant new year, one I shall never forget. We traveled to Southampton to see my husband’s parents. Firstly when we arrived we took my husbands real mum and her husband for a coffee in a place called Woolston. Not that many shops, but there is the Woolston Cafe there and they do a lovely full English Breakfast, or you can have other meals too and a drink. As you drive through to Southampton you come across the harbour, with many boats. It is a beautiful place and I get goose bumps whenever we drive to Southampton. Then we went to see my husbands real dad and step mum, who live in a place called Sholing, which has a few shops, but it is mainly houses. It was a lovely surprise to them as we didn’t say that we were coming down on new years eve, and they loved the surprise. We had a bite to eat there and then went out to a pub called The Juniper Berry where they had Karaoke, at which my father in-law got up and sang a few songs. Then went round to one of our friends in Southampton place to celebrate the new year and had a few drinks in doors. The next day we stayed mainly indoors with my husbands dad and step mum, watching some old films. My husband and I did take a little walk up to the shop, but that was all we did do in terms of going out. On Wednesday we celebrated my husbands dads birthday, and started off in a pub called the Heartbreakers, which was a nice little pub round the back of town very quiet but very comfortable. They do a huge range of drinks and I was drinking Symonds Cider. My husband on the left of this picture in the blue suit and my father in law who was the birthday boy. In between visiting the Heartbreakers we went round to Christina’s for a bite to eat, they do a whole range of nice food. I had my favourite, scampi and chips, which I know it is not healthy, but when I am on holiday I like to treat myself a little bit. Then on from Heartbreakers we walked to another pub called The Angel, which had again wasn’t packed so plenty places to sit and we all each put on some music on the jukebox. There were a good variety, plus they had the football on live aswell. It was a really brilliant evening and good to play some music and have a drink at the same time. Southampton is great for shopping aswell and they have a great selection if you like me, like shopping in charity shops, aswell high street stores like Primark, Marks and Spencers and Debenhams. I also love going down to the Quay but not much was open on this day, and none of the big Cruise ships were in, so we didn’t go down there this time. In any case we still had a fantastic time and I would totally recommend it. Last weekend we took a trip to Alresford to ride on the Watercressline in Hampshire, The Santa Special, at 12:15 and back again. It was a bit of a trip to get to, about hour and half, not the best day weather wise, but still a great trip, and look who popped by Santa Claus himself. It takes you two stops and then back again, but you do get a 15 minute break in between whilst they move the engine to other part of the train, and for guests to look around the different stations, and you can get off the train to watch. You also get a mince pie, wine or orange juice for the adults, and children get a carton of juice and a gingerbread biscuit. The Dates it is available to do the Santa Special is on the 1st, 2nd, 8th, 9th, 15th, 16th 19th to the 24th December. Times are 10:40, 12:15, 1:50 and 3:25. The prices do vary depending on age of children and if they are child or adult, but I thought it was a great day out. The kids loved their gifts they received from Santa Claus and then we finished off the day with a nice meal in Alreston town centre Pizza Express. In the evening my husband and I went to see Bohemium Rhapsody. One word brilliant definitley would watch it again. I thought the actor who play Freddie Mercury was amazing, so well performed and real tribute to Freddie himself. If you don’t know who Alfonzo is, he is the guy who played Carlton on the Fresh Prince of Bel Air. He did the American version of Strictly Come Dancing, called Dancing with the Stars and won. I thought this was brilliant dancing and the fact he was making fun on himself, made it even more brilliant. On Strictly Come Dancing last week, he bought a certain level of excitement being a guest judge this year. Don’t get me wrong I do like Bruno, but he just was so brilliant in his comments, that I wish he could be guest judge each year, and I would love for him to be on more UK TV. Yesterday, I spent some time in Kingston as we have my husbands parents down, and it was a good day out. There are several buses and trains you can get there, and is a nice town. There was a big British Heart Foundation store, which I couldn’t resist, and bought a couple of books. Then we went into this little pub, which I can not remember the name of, but is opposite the Starbucks on the high street. Then we went and got the bus back before the traffic got any busier. We then went back to our local town and had a few drinks there, a bite to eat and then home. I love a good day out, and looking forward to some Christmas Markets already. Who is your favourite person on TV? Where do you like to go and visit on regular basis? Thank the lord it is Saturday, the weekend, and I am feeling good this morning after having a good rest. Thanks to my mum for looking after Henry, so I could go out with my friends for the evening. We met and had a drink and a bite to eat in Victoria, in London and they gave me some lovely presents, which I put posted a picture on my Instagram account. We were going out to celebrate my birthday, a very belated celebration. They know me well as I do love a nice bag and toiletries, are always my favourite, which means more baths for me. I enjoyed the wedding last week. I am a sucker for a Royal Wedding, and did watch the whole thing on This Morning. It was a really nice wedding. One tip I would give to any bride is to enjoy the day as much as possible because it goes so fast before you know it, it has already been a week ago. I thought Eugene looked beautiful and the whole venue looked amazing. I love a good wedding, and it did bring a tear to my eye. Do you like a good wedding? What did you do Friday night? Last weekend I celebrated my 40th birthday. How do I feel? I feel OK, I not allowing the negative thoughts about it come through, the thoughts of “I haven’t achieved everything I wanted and age and time are catching up with me”, but I still got time to achieve all that I want, instead. On the actual day which was last Thursday, I met my mum for lunch, and went to the Jamie Oliver’s restaurant, in Victoria street, London. The food was lovely, I had Pasta Bolognese and my mum had ravioli type dish. Then Saturday my husband and I went to see Bat Out Of Hell, at the Dominion Theatre. It was a really good show. If you like Meat Loaf, whom I have seen in concert you’d like this musical. It is about a young girl called Raven, is kept prisoner by her father who happens to be dictatorial ruler of the city, but she falls in love with Strat. 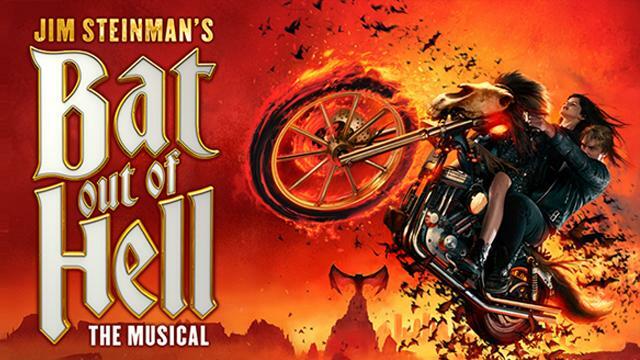 It includes all the songs you’d recognise from the Bat Out of Hell albums that Meat loaf had done in his passed albums. Real tribute I felt to Meat Loaf and his music. In the evening we met my family (my mum, step dad, brother and his family) for a meal in Bills, in Wimbledon. Really nice meal, and delicious pudding. Soon I will be meeting my friends for a birthday drink too, soon. It was all in all a great weekend and glad I got to celebrate my birthday in style. I’ll only be 40 once so good to celebrate it. Have you recently celebrated a birthday, if so let me know, I would love to hear from you.